A non-treated soybean plant (left) infected with soybean cyst nematode vs. a plant with Nutrien Ag Solutions base seed treatment. 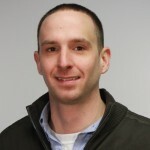 Marty Robinson, Senior Marketing Manager of Seed Treatments North America with Nutrien Ag Solutions, has handled seed treatment with North America’s largest ag retailer since 2012. The retailer services markets across 49 U.S. states and throughout western Canada. The mega-retailer approaches its downstream seed treating strategy with a two-pronged approach. “It’s a balance of two things,” Robinson says. 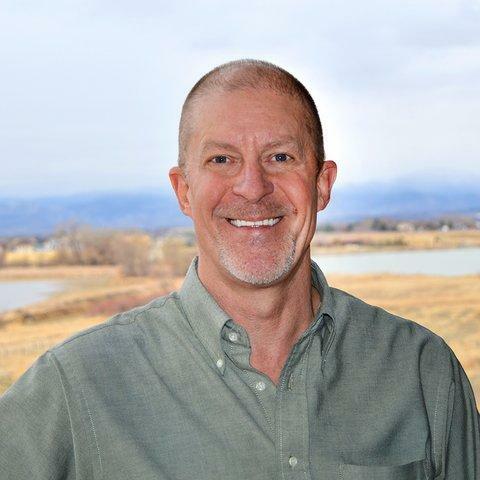 “First, we’ve got to make sure our growers have the correct active ingredient and blend offerings available to them, and agronomics is always the primary driver. Second, as a large retail network, we can leverage the size of our business in product development, production, and procurement, allowing us to share economic opportunities with our grower customers. In the upcoming season, Robinson expects a familiar crop protection duo will comprise most of the millions of acres of soybean seed treatment that the group’s retail outlets will apply this winter. “We believe that in many cases the best offering is still a fungicide and insecticide combination,” he says. With increased handling safety in mind, Nutrien Ag Solutions developed a proprietary liquid polymer coating for its corn treatments. Beyond the standard fungicide/insecticide combo, Nutrien Ag Solutions offers top-of-the-line treatments that include seed-applied nutritionals, plant growth regulators, and rhizobia inoculants. Typically a grower with high yield goals will pick from those top-tier options to push crop performance. Robinson sees growth opportunities for retail across the board in the downstream seed treating market, from a relatively new trend in corn seed treating to a boomeranging industry interest in seed-applied nematicides. The group’s seed team understood that downstream treating corn is an entirely different beast than soybeans, which at first had a similar initial reluctance before becoming commonplace. 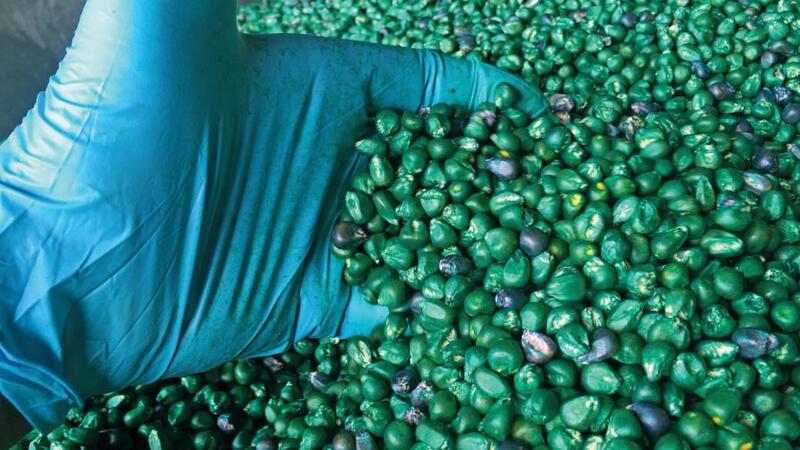 With that need for increased handling safety in mind, Nutrien Ag Solutions developed a proprietary liquid polymer coating for its corn treatments, also ensuring a proactive approach to pollinator health by minimizing insecticide dust-off. “One of the more important points we had to consider, designing a new product from scratch, was to be sure we addressed any possible pollinator issues,” Robinson says. “We know that EPA is looking for the retail industry to demonstrate that they are following good pollinator stewardship practices around seed treatments.” He estimates the group treated about 350,000 acres of corn in 2018 with nutritional seed treatments. On the other end of the ag retail spectrum, opposite large, vertically integrated operations, such as Nutrien Ag Solutions, are outfits like Farmers Cooperative Society (FCS), a smaller, regionally focused independent retailer with 11 locations spread across northwest Iowa, southeast South Dakota, and southwest Minnesota. Kris Norgaard, Agronomy Department Manager-FCS Boyden (IA), says the cooperative derives about 5% of its total annual crop protection revenues from custom-applied seed treatments. Between its three seed-treating “hubs,” custom-treated units in 2018 nearly hit the 31,000 mark, which translates to about 60% of the co-op’s total soybean seed units. 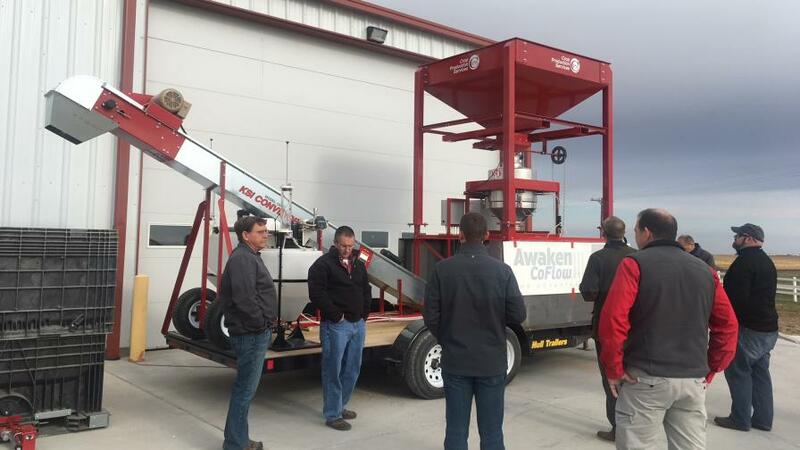 Growers look at seed-treating equipment at a recent Nutrien Ag Solutions field day. Norgaard shares that, unlike in the Eastern Corn Belt, where most seed treatment blend formulations are driven by early-season weather conditions at planting, early-season insect control for FCS growers is a bit more top of mind. Norgaard says the cooperative has lately been favoring WinField United’s Warden CX as the base treatment, a product he describes as “high end, sourced from Syngenta.” And the optional add-on for the Cadillac program is Vault HP from BASF. 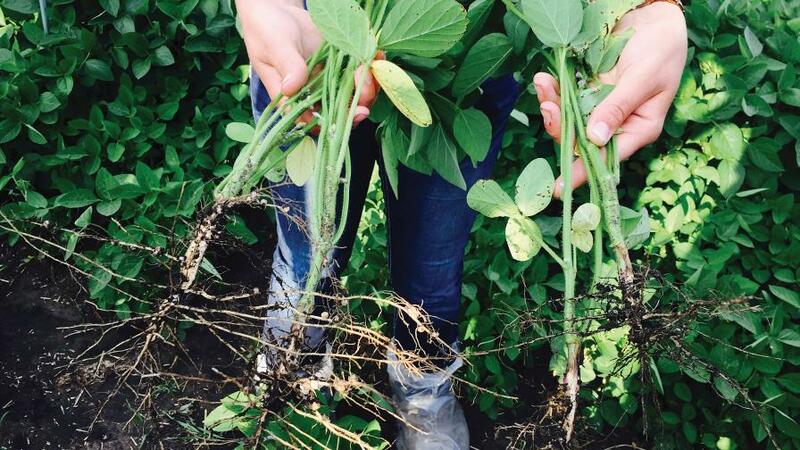 “Again, we focus on this product for the farmers wanting to go after maximum yields by introducing newer strains for rhizobia bacteria into the soil and also in fields that have not had soybeans in the rotation in recent years,” he says. Even with recent international trade issues causing reported consternation among soybean growers in FCS’ operating territory, Norgaard says growers still see value in having early-season yield insurance in the form of a locally prescribed seed treatment.